If we are to achieve the targets set out in the United Nations’ Sustainable Development Goals by 2030, we need to prioritize new ways of thinking, cutting-edge innovation, and different partnerships. In global health, we must continue to apply a business mindset to find lasting solutions. Skills like those involved with strategic planning, finance and marketing are becoming more relevant as traditional development assistance (i.e., USAID funding) is leveling off and new sources of funding are on the rise. Furthermore, since Africa and Southeast Asia are among the fastest growing health care markets in the world, private sector companies are eager to hire people who can seamlessly bridge global health and business. Doing good and doing it well is no longer a “plus.” It is a business imperative for breaking into new markets. 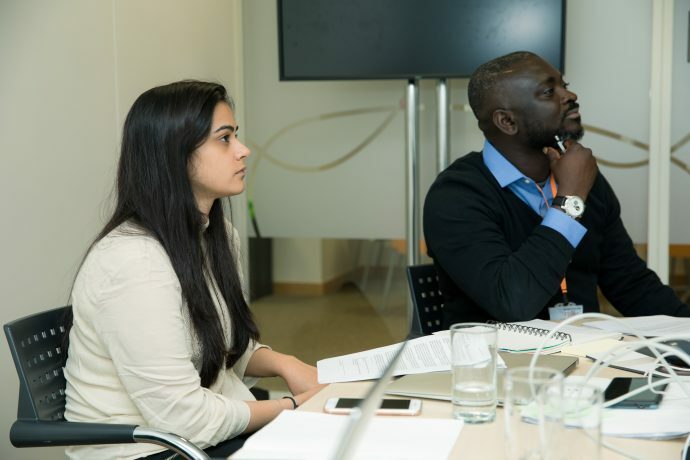 For these reasons, USAID joined forces with the pharmaceutical company GlaxoSmithKline and Northwestern University’s Kellogg School of Management in 2018 to launch the GSK | Kellogg | USAID Global Health Case Competition. 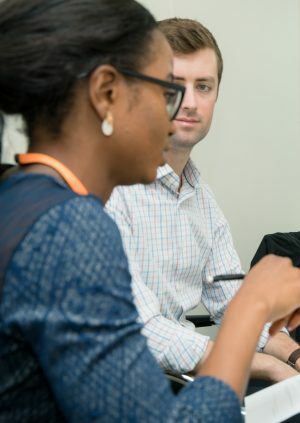 By targeting top business and public health graduate students across Africa, Asia, Europe and the United States, USAID and partners sought to build business-minded global health capacity across a vast network of universities to inspire more students to consider global health as a viable career option. When the competition was launched in January, the response was overwhelming. Nearly 600 students from around the world applied, but only 20 made the final selection. Some of the finalists have been advisers to ministries of health in sub-Saharan Africa, while others have private sector experience. Finalists came from prestigious schools such as the Wharton School of Business at the University of Pennsylvania, the Lagos Business School at Pan-Atlantic University, the School of Management at Yale University, the Harvard School of Public Health, the post-graduate program in management at the Indian School of Business, and the School of Business at the University of Nairobi. 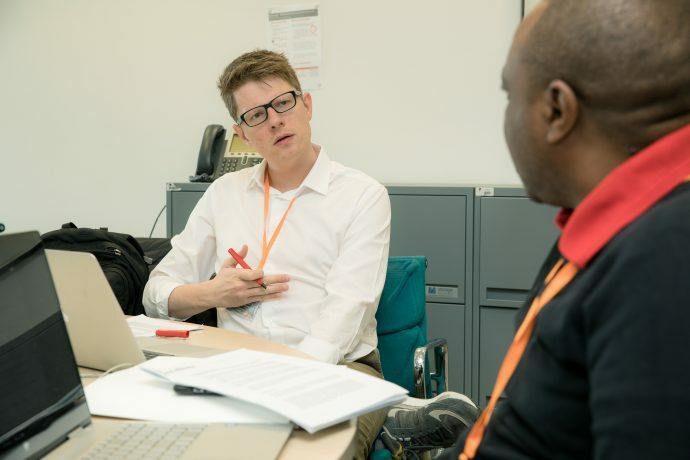 In April, the 20 selected students came together at GlaxoSmithKline’s headquarters in London and were given 36 hours to tackle a case study provided by Northwestern University on childhood pneumonia, the largest infectious disease killer for children under 5 worldwide. Although illustrative, the case study was based on a real-life problem that the global health community faces. It is indeed challenging to prevent, diagnose and treat childhood pneumonia in high-burden countries like Uganda, where the case study was based. Students leveraged their diverse backgrounds and applied a business mindset to identify transformative solutions to a frequent global health problem. The purpose of this group exercise was to create a hands-on learning experience for the students and, more importantly, to test the practicality of the solutions generated. As part of the learning, students also met with representatives of both the public and private sectors in the global health field, including the Bill & Melinda Gates Foundation, IDEO, the Boston Consulting Group, the London School of Hygiene and Tropical Medicine, and Girl Effect. During the site visits, the students learned how to apply private sector approaches such as design to global health to increase cost-effectiveness and sustainability of investments. 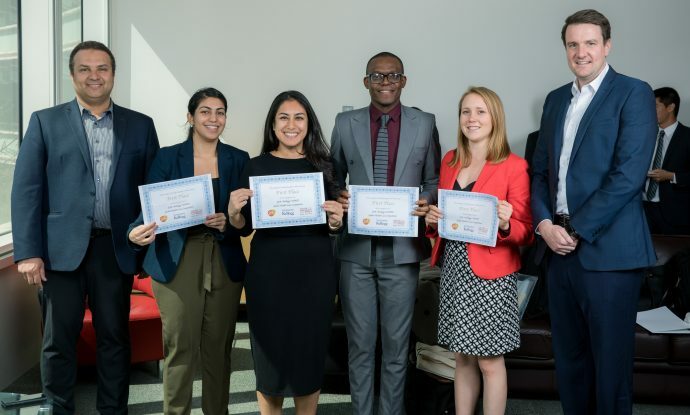 Ultimately, the GSK | Kellogg | USAID Global Health Case Competition is a real-world example of how we harness ideas from all sectors to accelerate and expand critical interventions in global health. 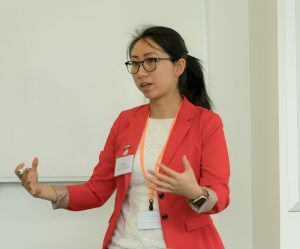 This model offered a select group of emerging global leaders with business and health backgrounds to build the skills, network and understanding necessary to create greater development impact. Looking forward, USAID will continue to partner with the likes of GlaxoSmithKline and Northwestern University to engage future global health leaders, build in-country capacity, tap into university talent, and entice the private sector. These are the types of partnerships where private sector expertise can amplify social impact. And these are the types of partnerships that can best support countries on their journey toward self-reliance. Rachel Fowler is a program analyst in USAID’s Center for Innovation and Impact in the Bureau for Global Health.